Lyme disease is prevalent in areas where ticks are common and can be transmitted by several different species of tick. Deer ticks are most commonly known to transmit Lyme disease, and all dogs are at risk. However, hunting dogs may be more at risk because of their outdoor lifestyle. Because ticks must be attached to a host for 50 hours to transmit the disease, prompt and frequent inspection and removal may decrease the risk of infection. Luckily, we utilize SNAP 4Dx Plus tests to diagnose Lyme disease in dogs. This test can be performed in our office with a small amount of blood. Results are returned in a matter of minutes. SNAP tests are accurate, convenient, and reliable and have been used for many years to diagnose other diseases, such as heartworm disease. There are several other tests that can be run in our in-house laboratory that help us diagnose Lyme disease and other tick-borne diseases, such as ehrlichiosis. These tests measure antibody levels in the blood and can help our veterinarians determine the proper course of treatment. In some cases, we may recommend follow-up testing to check for other evidence of illness. Treating Lyme disease in dogs involves strong antibiotics over a course of time, normally 28-30 days. Other medications may be prescribed to help with clinical signs, such as joint pain. Some dogs begin to feel better after only a few days of antibiotics. Unfortunately, however, relapses aren’t uncommon, so it’s important to complete the entire course of antibiotics and to monitor your dog for signs of the disease throughout their life. Awareness and the quick removal of ticks is a good start to prevention. Annual testing is also important since many dogs don’t exhibit any clinical signs. 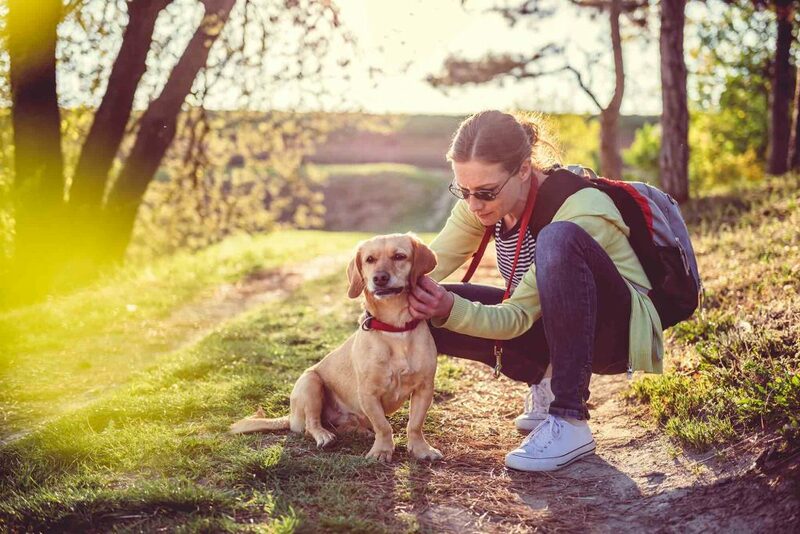 Keep in mind that traveling with your dog may increase their risk, so periodic testing combined with preventives may be the best way to prevent Lyme disease. Topical preventives and collars are advisable, especially if you walk your dog in wooded areas or in tall grass where ticks are likely to live. There’s also a Lyme disease vaccine, which may be recommended based on your dog’s lifestyle. We hope this overview of Lyme disease is helpful. Please give us a call with any questions or concerns. We’re always here to help!